Marietta attorney Lance Cooper was looking for answers behind a single crash. What he found led to a recall of 30 million vehicles. Brooke Melton’s car was a key piece of evidence in her parents’ lawsuit against General Motors. For Brooke Melton, the day began with a voicemail from her father, wishing her a happy 29th birthday. She drove to her shift as a nurse at West Atlanta Pediatrics. After work she climbed into her white 2005 Chevy Cobalt and threw her bag onto the passenger seat. A cautious driver—she’d never once gotten a speeding ticket and always wore her seatbelt—Brooke was headed to her boyfriend’s place to celebrate over a birthday dinner. Darkness had already descended when Brooke pulled onto Hiram Acworth Highway. Driving north on the lonesome two-lane road, past the strip malls and convenience stores, she came to a half-mile downhill straightaway, a stretch of asphalt bordered by Georgia pines and utility poles. Where the road leveled, rainwater pooled on the blacktop. Suddenly Brooke lost control of the Cobalt, hydroplaning across the center line. An oncoming Ford Focus slammed into Brooke’s rear passenger side, violently reversing the car’s counterclockwise rotation. The Cobalt spun off the road, over the shoulder, and 15 feet down into the surging waters of Picketts Mill Creek. It was just before 7:30 p.m.
Nineteen minutes later, after a passerby called 911, the first responders arrived on the scene and pulled Brooke from her half-submerged vehicle. Roughly nine minutes after they placed her gurney in an ambulance, she arrived at WellStar Paulding Hospital in Hiram, six miles from the crash site. Doctors put her on a ventilator, but the prognosis was grim. She was transferred to the better-equipped WellStar Kennestone Hospital in Marietta, 16 miles away. Around 10 p.m., the phone rang at her parents’ home in Kennesaw. The call went to voicemail. Brooke’s mother got out of bed and hit play: It was the hospital, requesting she come immediately. A frantic call back and finally the news: Blunt force trauma from the crash had broken Brooke’s neck. I’m sorry, the doctor said. We couldn’t save her. Brooke was the oldest daughter of Beth and Ken Melton. Her parents gave permission for her organs to be donated. It’s what she would have wanted. On the drive to the hospital, Ken prayed the doctors were wrong. But no. Inside the ICU, he kissed his daughter’s cold forehead and made a vow: that her death would not be in vain. Even then, wrestling with the first waves of a grief that would consume him, he suspected the fault lay not with Brooke but with her car. In the months that followed, Beth and Ken both sought refuge in different ways: Beth through her faith and therapy, Ken through poring over every detail of the accident and the days leading up to it. A week before she was killed, Brooke had called him to say something strange was going on with her car. Sometimes it would simply shut off while she was driving it, and she’d have to pull over to the side and restart it. Get it serviced, Ken told her. The weekend before the accident, she dropped off the car at Thornton Chevrolet in Lithia Springs. The mechanic cleaned her fuel injectors, changed her oil, replaced her fuel filter. All fixed, she later told Ken over the phone. Now Ken spent evenings scrolling through online discussion boards. Other drivers had reported problems with the Cobalt—problems similar to the one Brooke had complained about. On one forum, a father posted that he refused to let his daughter drive her Cobalt after it stalled. Ken even found testimonials from people like him, family members who had lost a loved one in a crash involving a Cobalt. With each new revelation, he grew more angry. His behavior worried Beth, who believed the accident simply happened. He’d call her over to share new bits of information, compounding her own grief. She pleaded with him to stop. Ken wanted General Motors, the manufacturer of the Cobalt, to examine the wreckage. It took months, but finally GM scheduled an inspection for February 2011, almost a year after Brooke’s death. Ken wasn’t the only party interested in the findings; a lawyer for the driver of the Focus wanted to know, too. Ken and Beth realized they needed their own attorney. Their insurance adjuster gave them a name—Lance Cooper. Lance Cooper was an odd recommendation. The Meltons appeared to be in the market for a defense attorney, but Cooper was a plaintiff’s lawyer. Cooper, a 52-year-old California transplant who’s lived in the South long enough to affect a slight drawl, didn’t know if he could help but invited them to his Marietta office anyway. Cooper plopped into his leather rolling chair. From across his mahogany desk, strewn with yellow legal pads, the Meltons talked about their daughter: Her stellar driving record. The problem with the Cobalt. Her visit to the mechanic the weekend before the accident. Cooper had seen this kind of case before. His job was to look beyond the grief and the anger. What lay beneath the emotions—the cold facts of the case—often pointed to nothing but the obvious. He glanced at the accident report. The details seemed straightforward: A rainy night. Speed too fast for conditions. A hydroplaning car. An oncoming vehicle. The police report concluded that Brooke had been at fault; Cooper saw little reason to doubt it. But that visit to Thornton Chevrolet the weekend before the crash—it gave Cooper pause. The timing was peculiar. What were the odds of someone picking up their car from the shop only to die in a crash the next day? The lawyer had three choices: Take the case, decline it, or poke around a bit before making a final decision. He chose the latter. He told the Meltons he would follow the facts, wherever they led. First Cooper needed the evidence. For $548, he bought the remains of Brooke’s white Cobalt, contorted almost unrecognizably. The Cobalt was loaded onto a flatbed truck and moved to a private testing facility 15 minutes from Cooper’s office. Doreen Lundrigan, Cooper’s paralegal for the past 15 years, began to search federal databases, state government records, and resources like the Insurance Institute for Highway Safety for details of other Cobalt accidents. There was something else. Nine days before her death, General Motors had announced a recall of 1.3 million vehicles, including the Cobalt, due to a power steering issue. Ken found the recall notice in his daughter’s mail after her death. He told Cooper, who felt it gave their investigation added momentum. On June 24, 2011, four months after first meeting with the Meltons, Cooper filed a lawsuit against General Motors and against Thornton Chevrolet. (Bill Heard Chevrolet, the Kennesaw dealer that sold Brooke the Cobalt, had gone bankrupt and shuttered.) Cooper alleged that GM had failed to adequately and promptly warn Brooke, other Cobalt owners, and the public about the defective design of the electronic power steering system. By not taking proper action, the lawsuit claimed negligence on the part of GM—for its role in “designing, inspecting, testing, manufacturing, assembling, marketing, selling, and providing warnings for the Cobalt”—and Thornton Chevrolet, which “knew or should have known that not performing the recall work would make the vehicle unsafe.” The Meltons asked for a jury to decide on an amount. What Cooper lacked in experience, he made up for in persistence, meticulously assembling the Stanger case from the ground up. He examined how the tire made it to market, despite an improper adhesion between its steel belts. His diligence paid off: After General Tire’s executives claimed potentially damning documents had been destroyed, Cooper tracked down copies from another source, according to court documents. The case was settled in December 1993. For Cooper, the Stanger case was also an education on the automobile industry’s ignominious history of sacrificing passenger safety for profits. Ralph Nader’s landmark 1965 book, Unsafe at Any Speed, scrutinized the Chevrolet Corvair’s faulty suspension and helped establish federal oversight of motor vehicles. In 1977 journalist Mark Dowie revealed that defective gas tanks in early 1970s Ford Pintos were causing fiery wrecks; his story in Mother Jones led to a recall of 1.5 million subcompacts. In the early 1990s, Jim Butler, a Georgia-based trial lawyer, sued General Motors over the design of its mid-1980s GMC Sierra pickup truck, which contained a “sidesaddle” gas tank that could explode upon impact. The case resulted in a $105 million civil judgment in 1993. Today few industries operate with more federal oversight than automobile manufacturers. The National Highway Traffic Safety Administration requires that carmakers abide by a strict set of safety standards. The agency conducts major investigations when failures persist. What were once optional safety features—three-point seat belts, antilock brakes, airbags—are now mandatory in vehicles sold in America. 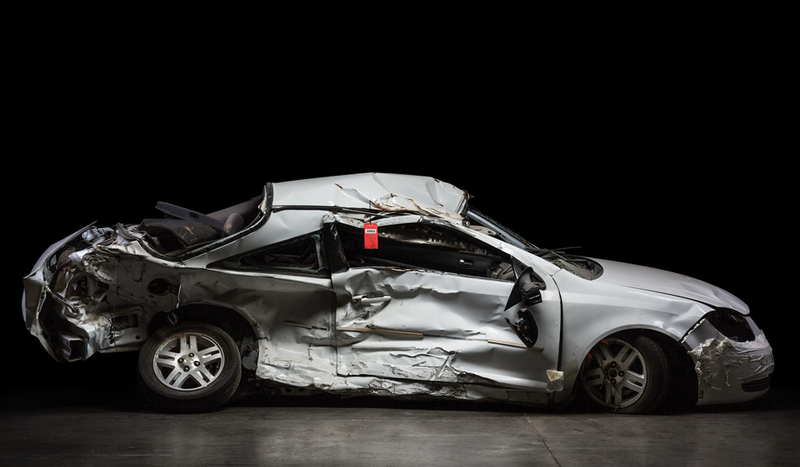 A motorist is five times less likely to die in a car accident today than 50 years ago. Despite—or perhaps because of—all the safety enhancements, the number of defective cars on the road has reached an all-time high. In 2014 NHTSA recorded 63.9 million vehicle recalls—roughly one out of every four cars in the U.S.—breaking the federal agency’s single-year record. That year Toyota admitted to producing floor pedals and mats that caused unintended acceleration, taking at least five lives and triggering the recall of 9.3 million cars worldwide. Takata, a Japanese airbag supplier, is currently fixing more than 30 million cars in the U.S. after eight people died from exploding airbags that sent metal shards into some drivers’ faces and necks. Most recently, the world’s largest car corporation, Volkswagen, began recalling 11 million vehicles worldwide after acknowledging its diesel models contained “defeat devices” designed to cheat emissions tests. In 1998 Cooper and a colleague opened their own firm, focusing on automobile defects. (Cooper went solo in 2006.) Over the course of his career, Cooper estimates he’s won somewhere around $500 million for his clients, much of it from judgments and settlements with carmakers: $6.7 million for a minivan’s broken liftgate, $8 million for a sedan that burst into flames after a rear-end collision, $10 million for another case involving a tread separating from a car’s tire. Ultimately, Cooper sees each case like a product—a product he must sell to a jury. Go before them with a flawed product, and it’s a waste of everyone’s time and money. “You have to recognize what facts you need to prove, but also what the jury is going to think about the evidence you present,” he says. “You have to pin it to what’s going to be important to the jury—not just what’s important to you.” Cooper’s focus on the jury is now almost as intense as the discipline he brings to discovery. Occasionally, he will even convene focus groups of residents in the jurisdiction where a case is scheduled for trial, attempting to gauge the reaction to the evidence he plans to present. 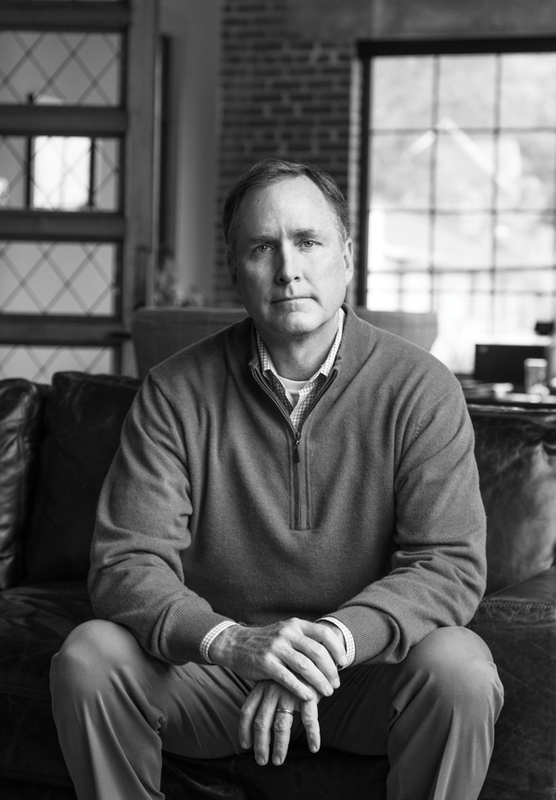 Over the years, as he’s represented victims and survivors of horrific car accidents, Cooper has come to believe that federal regulations can do only so much. Corrupt corporate execs and engineers, he’s concluded, will always find ways to game the system. “You have to have some regulation,” says Cooper, who describes himself as an economic conservative. “But more often than not, regulations don’t work to protect people. That’s why you need the jury trial.” Not surprisingly for a liability attorney, Cooper sees the threat of seven- and eight-figure awards as the biggest incentive for car companies to do the right thing. Fear of litigation trumps fear of the federal government. After seven months of motions and countermotions, GM finally agreed to send a team to inspect Brooke’s Cobalt. Cooper had put off his own inspection until it could be done simultaneously with GM’s. To perform it, he hired Charlie Miller, a former hot rod racer who runs a repair shop in Merigold, Mississippi. Over the past 20 years, Miller has become an expert witness in auto liability cases, working for insurance companies as well as for plaintiffs’ lawyers. Modern automobiles are essentially rolling computers, so any evaluation of them is as much electronic as it is mechanical. On the day of the inspection, with GM’s representatives looking on, Miller attached a diagnostic computer to the Cobalt. He examined the car’s wires to see if any happened to be cut during the crash. He checked the engine control module, the small on-board computer that manages the car’s complex operations from the moment the car starts to when the key is removed. He ran tests on the body control module, the computer connected to the car’s electronic parts (power windows, air-conditioning, and door locks); the antilock brakes; and the front airbags, which hadn’t deployed given that the collision occurred on the right side of a vehicle with no side airbags. He checked the power steering. Miller moved on to the Cobalt’s sensing and diagnostic module (SDM), a data recorder not unlike an airplane’s black box. In 1994 GM led the way in installing tamper-proof data recorders in its cars. The device acts as a sort of internal monitor, recording data—a vehicle’s speed, RPMs, pressure applied to brakes—that are essential to better understanding the final seconds before a crash. As of September 2014, all new vehicles sold in the U.S. must be equipped with an event data recorder, which tracks 15 different variables. When Miller downloaded data from the Cobalt’s SDM, he was flummoxed. The reading showed that between three and four seconds before the crash, the speed of Brooke’s Cobalt had dropped from 58 miles per hour to a standstill—an impossible scenario given the facts in the police report, the reconstruction of the crash, and the laws of physics. The position of Brooke’s key proved equally perplexing. At impact, the key was not in the on position but the accessory position—where you can turn on your lights or radio, but the engine itself isn’t running. Were the mysterious deceleration and the key position related? A few weeks later, Miller called Cooper with something else: In December 2005 GM had issued what’s known as a “Technical Service Bulletin,” an internal memo that updates dealers on potential problems. The bulletin warned of a stalling engine issue with select Cobalts; this was a problem potentially related to the car’s ignition switch, a deceptively simple part that allows a driver to insert the key, twist the fob clockwise, and start the engine. It appeared that, in some cases, a car engine was shutting down simply because the key was slipping from its on position. The question was, why? Cooper began narrowing his focus on the ignition switch, requesting more documents from GM, which led to more motions and countermotions. At the same time, Miller purchased a used ignition switch from a salvaged 2005 Cobalt, as well as a brand-new one from a GM dealer. Both had the same part number, yet to his surprise, when he turned a key in each, the older ignition switch was easier to turn from the on to off position. Starting a Cobalt is much like starting any other gas-powered vehicle: The driver inserts a key into a lock cylinder and exerts enough force to rotate it clockwise. When that level of force—which engineers measure in units of torque—is applied, a plastic plate with notches on its edge turns inside the ignition switch. The notches, which keep a key in the on, accessory, or off position, are held in place by something called a detent plunger, a tiny metal pin affixed with a spring. The plunger provides enough tension to keep the key in position. To learn more about Brooke’s switch—and why it seemed to require less torque than the switch found in newer Cobalts, even though it was supposedly the same part—Miller jerry-rigged a test by connecting a fish scale to a screwdriver that gave him a rudimentary reading on how much force was needed to turn each key. His conclusion? The older ignition switch required just half the force of the newer switch. Fish scales don’t hold up in court, so Cooper contacted McSwain Engineering, a Florida engineering firm. Using a torque screwdriver, Mark Hood, one of McSwain’s materials engineers at the time, fabricated an adapter to fit on top of Brooke’s key in order to capture data regarding the rotation of the key and the force needed to turn it. Testing it again and again, he confirmed Miller’s initial findings: The old switch in Brooke’s car required only half as much force as the new switch. The next step was to dismantle the two switches to see why they behaved so differently. Hood measured the detent plunger inside Brooke’s ignition switch: 10.6 millimeters long. By contrast, in the Cobalts that came out after 2007, the detent plunger was 12.2 millimeters long. As Cooper learned from Hood, the 1.6 millimeter difference, about the thickness of a quarter, meant the key Brooke used in her Cobalt could be jiggled into the off position with little more than the brush of a knee against a dangling keychain. Even if the car was in motion. The discrepancy was of huge consequence to the Melton lawsuit. To Cooper, it meant GM had produced a part that failed to meet not only its own internal minimums for torque but also basic federal safety standards. For all safety-related defects, NHTSA requires auto manufacturers and part suppliers to notify the agency within five business days after learning of a flaw that could lead to an accident. GM had not. Yet someone had quite obviously changed the switch. 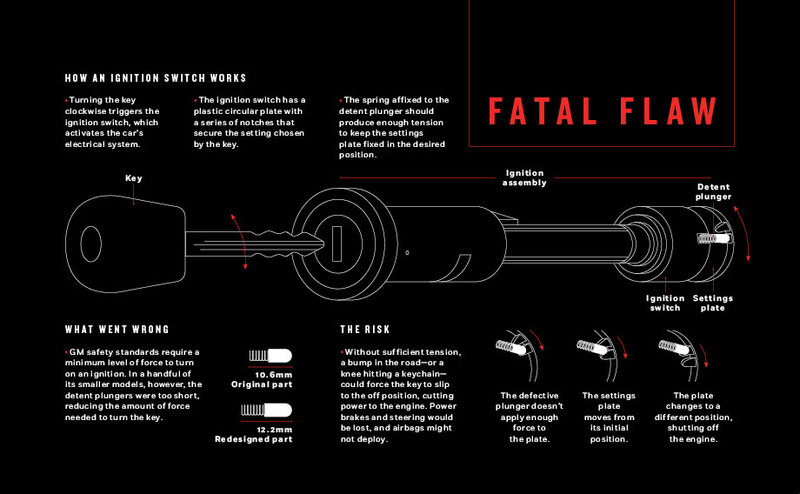 And even if a replacement ignition switch meant the new Cobalt models were safe, failure to report the old problem meant millions of cars with defective switches remained on the road. Lawyers for GM refused Cooper’s requests for more documents surrounding the ignition switch. Finally, Cobb County State Court Judge Kathryn Tanksley stepped in, ordering on February 13, 2013, that GM turn over all ignition switch documents. Doreen Lundrigan laid them out for Cooper. His eyes widened. This is as bad as it gets, he thought. The documents showed that engineers first noticed the engine stalling problem way back in 2001, four years before Brooke purchased her Cobalt. What’s more, the Cobalt wasn’t the first GM car with a defective switch; that would be the 2003 Saturn Ion. Despite internal probes over the following decade that recommended changes to the key system, no changes were made. Indeed, GM appeared to double down on the bad ignition switch, integrating it into other compact cars, including the Chevy Cobalt, Chevy HHR, Pontiac Solstice, and Pontiac Pursuit. GM instead issued a bulletin, the one Miller had found, that blamed the problem on oversized keychains and short drivers. Despite that disclaimer, Cooper alleged in a court filing, consumers were offered different solutions when complaining to dealers: Some were instructed to remove items from their keychains, others were given a small adaptive insert to prevent keychains from hanging low, and a select number of irate car owners managed to score buybacks. When a key slipped from the on position while a car was in motion, it meant the loss of power steering and power brakes, increasing the likelihood of drivers losing control of their vehicles. It also meant a loss of power to the sensors that deploy the front airbags. Even more surprising, Cooper discovered, was that GM knew about the airbag problem and kept tabs on the potential link to a rising death toll that began at least five years before Brooke’s crash. As he scanned the documents, Cooper finally began to better understand the scope of the ignition switch issues. Between 2005 and 2010, the carmaker had documented hundreds of crashes related to a stalling engine, an airbag failing to deploy, or a combination of both problems. 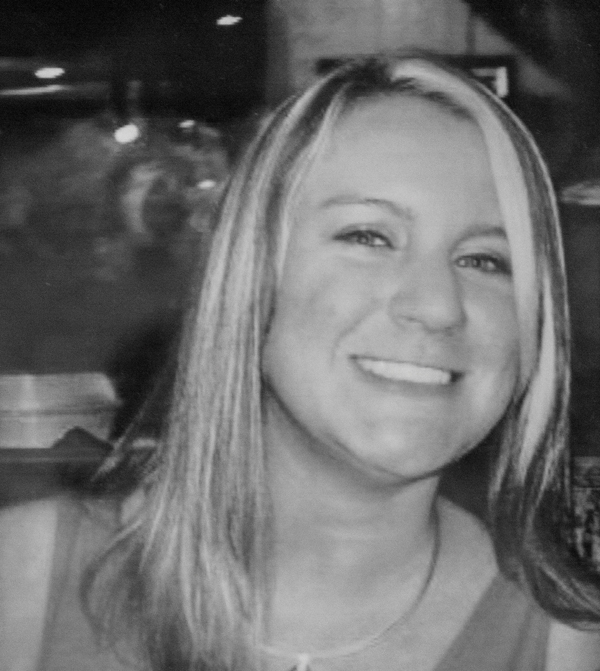 On July 29, 2005, Amber Marie Rose, a 16-year-old high school student from Clinton, Maryland, died because her airbag didn’t deploy after her 2005 Cobalt collided head-on with a tree. GM, which had found that Amber’s key had jolted out of the on position, entered into a confidential settlement with her mother. Her crash was one of many in GM’s files: There was the Cobalt that wrapped around a tree in Baldwin, Louisiana, in November 2005; the Cobalt that struck a light pole in Lanexa, Virginia, in February 2006; the Cobalt that smashed into a utility pole in Frederick, Maryland, in March 2006. Every time GM received notice, the company opened a file, with each one referenced by the victim’s last name: Freeman in Tennessee and Frei in Pennsylvania, Gathe in Louisiana and Grondona in Florida, McCormick in West Virginia and McDonald in Texas, White in Pennsylvania and Wild in Wisconsin. And on and on. That pattern repeated over the years—before Brooke went car shopping, after Brooke drove off the lot, before Brooke went in for repairs, after Brooke had plunged into the creek. It continued well after GM declared bankruptcy in 2009. Launch a probe, receive a safety recommendation, reject the potential fix due to costs, and expand the internal bulletin. All the while, GM’s customers were kept in the dark about the potentially fatal flaw of the cars they owned. The Melton case, which had been a gamble to start with, had now become the biggest case of Cooper’s career, but it came with a grim realization. In 2007 Wisconsin-based law firm Habush, Habush & Rottier had obtained an independent report that linked a crash that killed two teenage girls to a faulty ignition switch. However, its partners decided not to pursue the case, given the state’s restrictive tort law limiting maximum recovery to $350,000. Free from such restrictions in Georgia, Cooper amended his original Melton complaint in March 2013 to capture the ignition switch issues. In his mind, however, the most important question remained unanswered: Who had approved the replacement of the faulty switch without informing NHTSA that older Cobalts needed to be recalled? By that point, Cooper had flown to Detroit a half dozen times for depositions with 13 engineers. For several months he had targeted Ray DeGiorgio, the lead engineer in charge of the team that designed the Cobalt’s ignition switches, as among the employees who might have the answer. The DeGiorgio deposition occurred at the Westin Hotel at the Detroit Metropolitan Airport on April 29, 2013. The deposition was videotaped; in it Cooper can be heard peppering DeGiorgio, a graying, soft-spoken man in a black suit, with questions about the ignition switch and why the change was never reported. DeGiorgio denies making the change. “There were no official changes,” he says. He denies knowledge of the manufacturer, Delphi, making a change. He denies seeing problems after dismantling one switch. More than halfway into the five-hour deposition, Cooper lays a black-and-white X-ray photo of the 2005 Cobalt detent plunger in front of DeGiorgio. Then Cooper lays out a photograph of the replacement switch. At Cooper’s request, DeGiorgio holds up both exhibits toward the camera. In response to a question from Cooper, DeGiorgio says it’s the first time he’s ever seen the difference in the two plungers. Cooper asks him about the potential effects such a change may have. “It’s hard to determine from these pictures,” he says. He points to the purchase of his son’s 2007 Cobalt as a testament to his belief in the product. “There’s no way I would’ve done that and gave the car to my kid had I had any reservations,” DeGiorgio says. DeGiorgio takes a breath. “In general, suppliers do tell you about changes,” he says. The sun was about to set by the time Cooper turned off the camera. DeGiorgio’s deposition was supposed to be the linchpin. But through five hours of questioning, the engineer had pleaded ignorance. With no document to confirm who made the ignition switch change, a key component of Cooper’s case still eluded him. A few days after interviewing DeGiorgio, Cooper conducted one of his final depositions with Brian Stouffer, a GM engineering group manager who led an internal airbag investigation—an effort that first started in 2010 but had hit repeated dead ends. Cooper, believing a recall was in order, handed Stouffer evidence that pointed to the root of the ignition switch problem. Stouffer told Cooper he’d look into it. But there was no immediate recall. By now, Cooper began to see GM’s recalcitrance as evidence not merely of negligence but of recklessness. Cooper, still searching for the smoking gun, requested more documents regarding the ignition switch. GM, standing by DeGiorgio’s testimony, said there were no more documents to turn over. Over the summer of 2013, GM’s attorneys at King & Spalding began pushing to settle the Melton case. The carmaker, Cooper believed, would pin part of the blame on Thornton Chevrolet for not fixing Brooke’s key. As much as Cooper wanted to go to trial, he consulted with the Melton family, and they agreed to negotiate a settlement with GM while continuing to pursue the case against Thornton Chevrolet. After all, Cooper says, one of its technicians had admitted that he should’ve found the Technical Service Bulletin in his system when Brooke came in for repairs. On September 9, 2013, the Meltons settled with GM for $5 million, a sum that would become public only later. As part of the settlement’s conditions, GM agreed to let Cooper retain its documents, ensuring the public would learn the full details of the cover-up—but not while the lawsuit against Thornton Chevrolet continued. Meanwhile, GM was conducting its own investigation into potential ignition switch defects in millions of its cars. In a letter dated February 7, 2014, a GM official informed NHTSA that the company would recall the ignition switches in 780,000 Cobalt and Pontiac G5 cars sold between 2005 and 2007. The reason, the official explained, had to do with the low levels of torque needed to move some ignition switches into different positions. If defective, the company acknowledged, a heavy key ring or a “jarring event” could knock the key out of the on position and, when timed right, could result in airbags not deploying in a collision. News of the recall rocked the auto industry. Throughout that day, the Cooper Firm’s phones rang off the hook as other victims inquired about representation for their own ignition switch problems. But Cooper took no pleasure in GM’s announcement. Based on the documents in his possession, he believed the recall included only a fraction of the cars that had the defective ignition switch. He also was shocked at the way GM was managing the message—acting as if it had taken steps to order the recall as soon as it knew of the problem. Cooper knew that was not the case. Twelve days after GM’s recall notice, Cooper wrote a letter on behalf of the Meltons to NHTSA that pointed out the recall wasn’t wide enough. He also demanded that the agency investigate why the company failed to report the safety defect within five days of identifying the flaw years earlier. Cooper contacted national media outlets to spread word of the need for a bigger recall. With pressure mounting, GM six days later expanded the recall to 1.37 million vehicles. In federal filings for the recall, GM admitted, without delving into details, its knowledge of a GM engineer who signed off on a document to approve the ignition switch change. Congress scheduled hearings. CEO Mary Barra, who’d just taken over GM in January, hired Anton Valukas, the former federal prosecutor who probed the Lehman Brothers collapse, to examine the carmaker’s failures. The company scrambled to produce more than 200,000 pages of documents for federal regulators. GM ultimately conducted a record number of recalls, 84 in total, for a host of different safety issues that affected more than 30 million vehicles worldwide. At the start of the two-day congressional hearing titled “The GM Ignition Switch Recall: Why Did It Take So Long?,” Barra promised to revamp GM’s cost-centric culture, to inject a greater sense of urgency toward safety issues, and to promote greater accountability within the company. Ultimately, the smoking gun Cooper had been seeking, a document from a GM engineer that authorized changing the ignition switch, came by way of the congressional investigation. The 2006 work order, authorizing supplier Delphi to increase the torque force of its ignition switch, bore the signature of Ray DeGiorgio. Anticipating a deluge of lawsuits, Barra authorized a victims’ compensation fund of $625 million and hired as its administrator Kenneth Feinberg, who oversaw the 9/11 and BP oil spill payouts. More than 4,300 people filed claims. Of those received, 399 were approved, including more than a dozen individuals and families represented by Cooper, the attorney who made them all possible. In May 2014, Cooper refiled the Meltons’ lawsuit against the carmaker, citing DeGiorgio’s perjury and including an additional allegation of fraud. 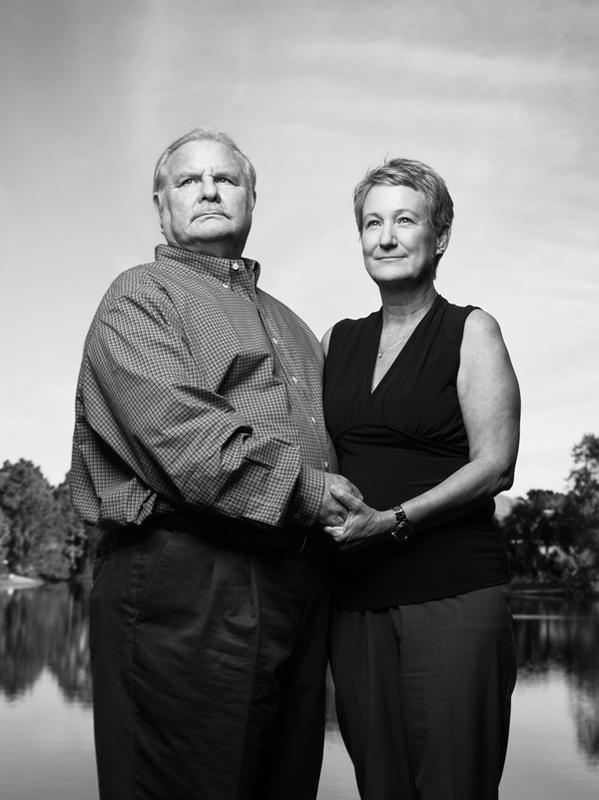 However, Ken and Beth, who were pivotal in exposing GM’s actions to the greater public, realized they were no longer slated to be the first plaintiffs headed to trial. With that in mind, Cooper settled the lawsuit against GM in March 2015 for an undisclosed amount—later revealed to be more than $6 million—and against Thornton Chevrolet for a confidential figure. Bharara’s deal with GM called for the carmaker to admit to concealing defects that resulted in the deaths of 15 people—far fewer than the 124 people approved for fatality claims through the Feinberg fund—and to let an independent monitor watch over the company as it enacted safety reforms. Bharara also negotiated a $900 million fine against the carmaker—less than the record $1.2 billion fine Toyota paid in 2014 for concealing safety defects, but more in total given the $575 million the company will pay out in civil settlements. No GM employees were charged with wrongdoing. Three weeks later, Cooper pushes open the glass-paned doors of his law firm’s new office—twice as big as his old quarters, filled with exposed brick and hardwood floors, located a few blocks away from the hospital where Brooke died—and heads to the tiny sandwich shop around the corner. Several months have passed since he finished his work with the Meltons. Dressed casually compared to most days—plaid button-down shirt, suede shoes, no jacket—he’s still angry over GM’s settlement with the Justice Department. He brings up Stewart Parnell, the 61-year-old head of a peanut butter company in southwest Georgia, who in 2015 was sentenced to 28 years in prison for ordering the shipment of a paste contaminated with salmonella that caused nine deaths. Starting this month, Cooper will be closely watching a multidistrict litigation out of New York, whose outcome will affect cases involving 84 deaths and 370 injuries based on the evidence discovered in the Melton investigation. Later this year, Cooper plans to assist two other firms in preparations for ignition switch lawsuits involving a 2005 Cadillac CTS in Conyers, Georgia, and a 2006 Chevy Cobalt just north of Louisville, Kentucky. He also will take on another GM case of his own, on behalf of Acworth resident Darah Worthington. Four years ago, Worthington lost control of her 2004 Chevy Malibu as she navigated a curve, breaking both her leg and hip in the accident. This time, Cooper suspects, an alleged power steering malfunction, similar to the one in the recall propelled by the Melton case, caused the accident. Leading up to the new round of trials, Cooper says the signs of the old GM that Barra pledged to do away with have already returned. Over the past year, he says, the company has continued to deter cases from heading to trial, to deny full responsibility for its role in accidents, and to fight to be shielded from punitive damages for accidents that occurred before GM’s bankruptcy. Meanwhile, Ken and Beth Melton have sold their Kennesaw home and left metro Atlanta, the place where Brooke grew up. Last June, five years after their daughter’s death, they bought a house in Destin, Florida, two miles from the Gulf of Mexico. “We were moving on with our lives,” says Ken. “Trying to change our surroundings.” Before they left Georgia for good, though, the Meltons donated part of the GM settlement to a nonprofit that conducts car safety research and publishes a quarterly “watch list” highlighting motor vehicle defects. Their hope is to prevent more tragedies like their own. This article originally appeared in our January 2016 issue. Driverless cars are coming to Atlanta. Are we ready?